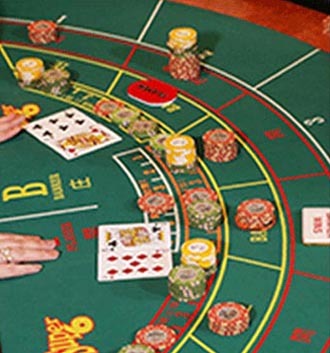 Blackjack is a card game where players bid to beat the Dealer’s hand. Both dealer and player play to get as close as possible to a card count of 21 without getting bust. (Going over 21 is called a “bust”, where the hand loses its bet.) Ace counts as 1 or 11. King, Queen and Jack represent 10. Cards showing 2 to 10 are equal to their numerical values. 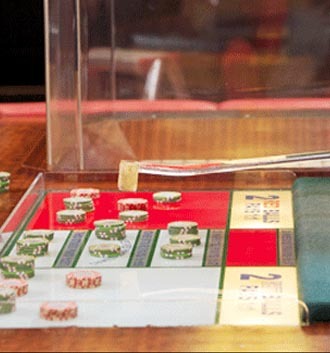 Dealer must draw to 16 or less, and must stand on 17 or more. Players may “hit” or draw any number of cards unless busted or may choose to “stand” at any point. 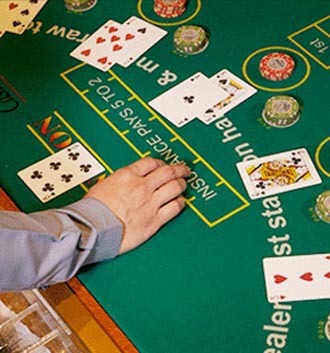 Hit for double – A player may, before drawing a third card, double his original bet on a score of 10 or 11 except on split Aces and Blackjack. Only one hit card is allowed. Splitting pairs – A hand whose first two cards is a pair may be split. Wager for each split hand must be equal to the original bet. 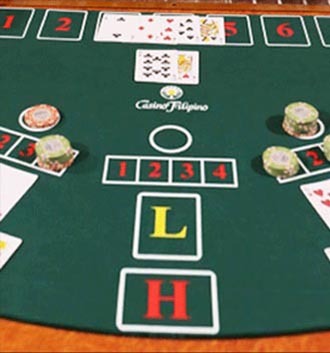 After a split, each hand with a score of 10 or 11 is allowed to hit for double. 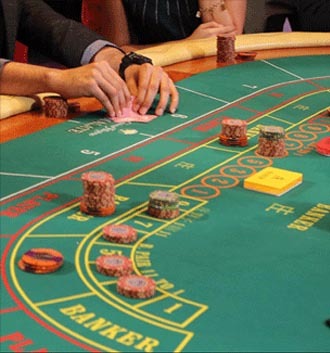 Surrender/Business – A player may surrender half of his original bet before a third card is dealt to any hand. 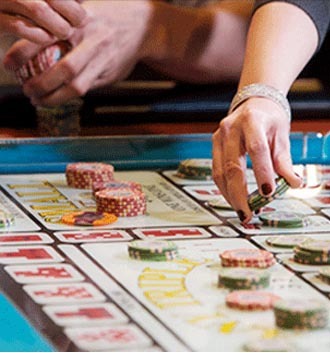 However, surrender/business is not allowed when the Dealer has an Ace showing. 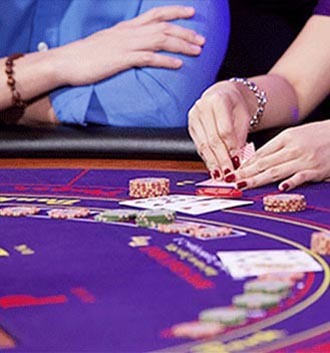 Insurance – When the dealer’s first (or show) card is an Ace, Players may place insurance bets which win 2 to 1 when the dealer gets a Blackjack. 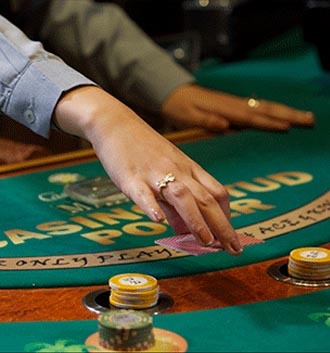 Even Money – When a player has a Blackjack and the dealer has an Ace showing, the player may ask for an immediate payment at the odds of 1 to 1. 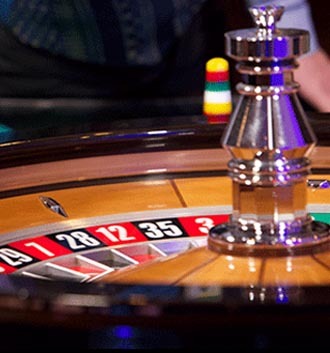 Player with Blackjack is paid 3 to 2. Player hands that beat the dealer’s are paid 1 to 1. Player hands having 7-7-7, or 6-7-8 of the same suit are paid 3 to 1.